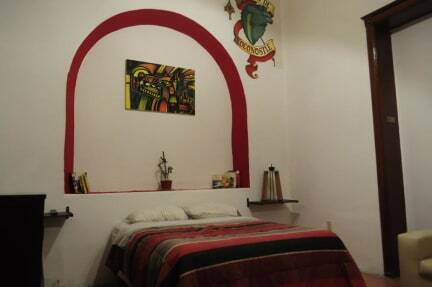 The hostel is located in the heart of one of the most emblematic districts of San Luis Potosi and the historical center, the property was constructed in the nineteenth century and maintaining its colonial baroque style and renovated in a nice state. 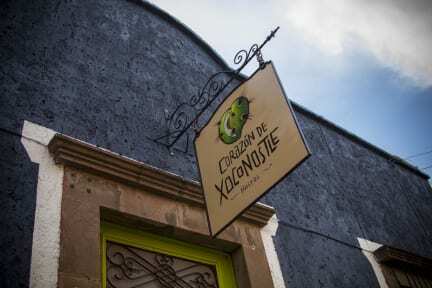 Only 5 minutes from San Francisco alley, Atánzazu Square, Square Founders of Major museums as well as the road and Arts Center, offering visitors a range of activities very complete from bars, restaurants and nightlife to artistic and cultural exchange. The location provides private rooms for couples, groups for travelers and exclusive bedrooms for women, as well as common areas throughout the house. Check in time starts at 13:00 to 22:00 . In case you ask for invoice you will pay 16% from taxes.